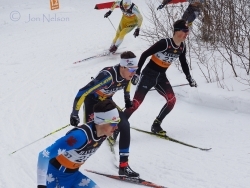 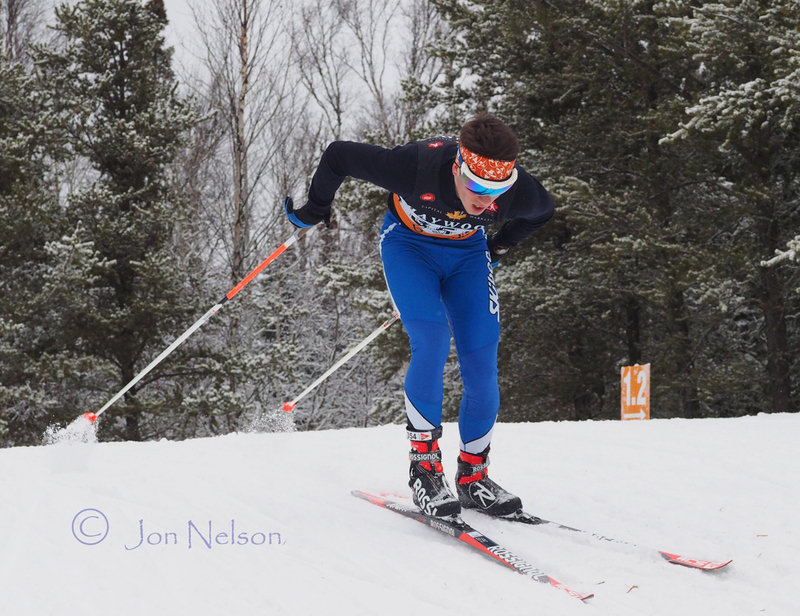 Lakehead University's Harry Seaton skis in an early round of the competition and goes on to win a Silver Medal with Angus Foster in the CCUNC Team Sprint at the 2015 Ski Nationals. 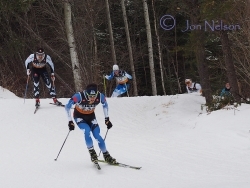 Rocky Mountain Racers skier Andrew Brisbin rounds a corner during the Open Men's relay. 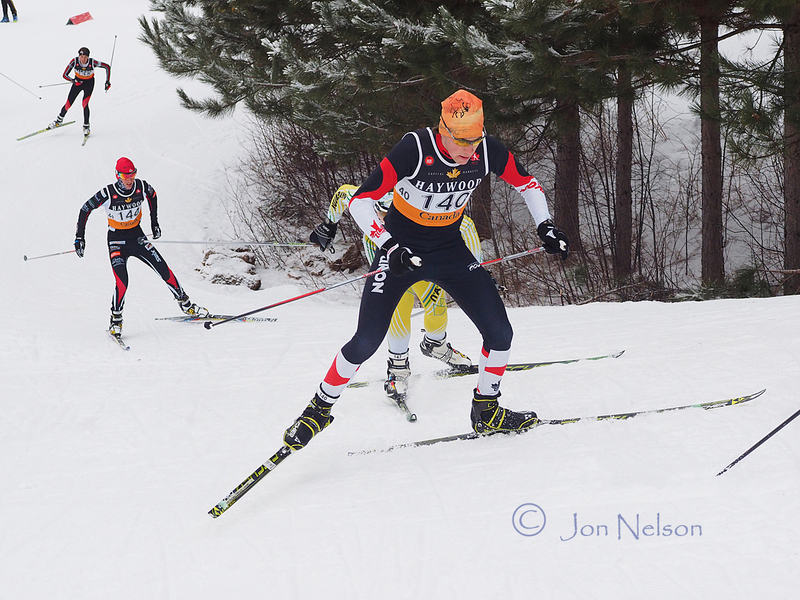 Adam Kates, skiing for Big Thunder Nordic, nears the top of the steep hill near end of a lap in the Open Men's Team Sprint. 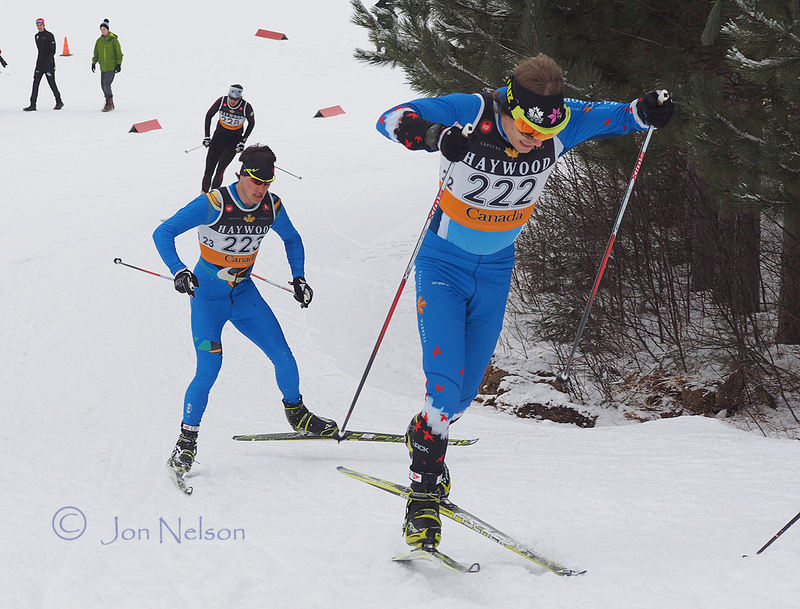 Yukon skier Hudson Lucier poles over the top of a small hill. 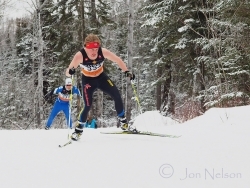 Andy Shields teamed with Michael Somppi to win the Open Men's relay for Lappe Nordic. Three skiers proceed side by side up the last hill. Nakkertok's Marcus Nussbaum focus his attention on the top of the hill. Caelan McLean, a Yukon skier, climbs the last hill. 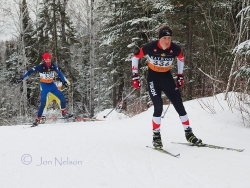 Along with Marcus Deuling, he won a Bronze Medal in Challenge Boys category for Whitehorse Cross Country Ski Club..
Black Jack Nordic's Geoffrey Richards heads up last hill before finish. 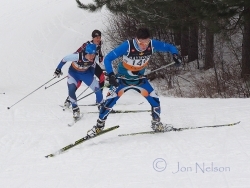 James Beck from Georgian Bay Nordic powers uphill. 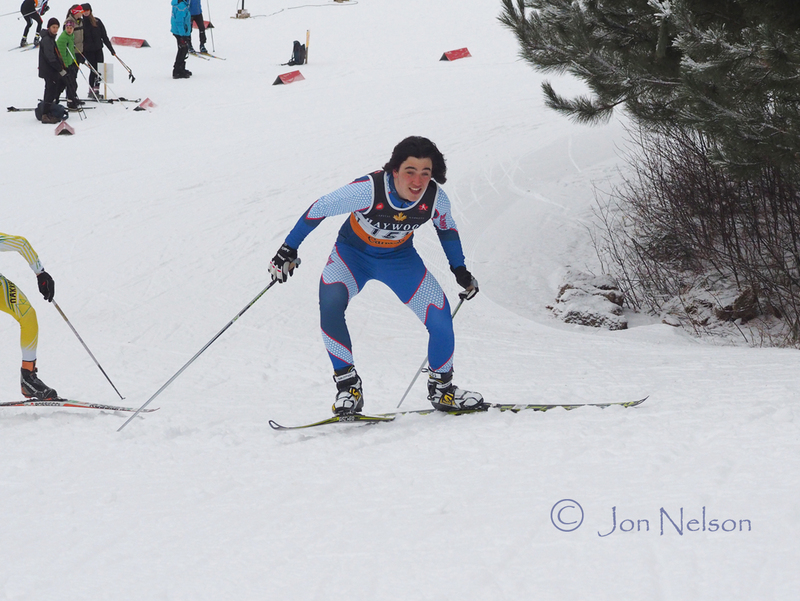 Andreas Massitti competes in the Challenge Boy's relay for Canmore Nordic. Knute Johnsgaard of Whitehorse won Bronze medal at the 2015 Ski Nationals with partner Colin Abbot. 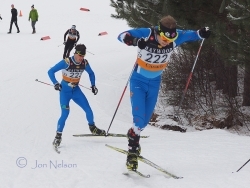 Jesse Cockney, along with Kevin Sandau, goes on to win Silver for Foothills Nordic in the Open Men's TeamSprint. 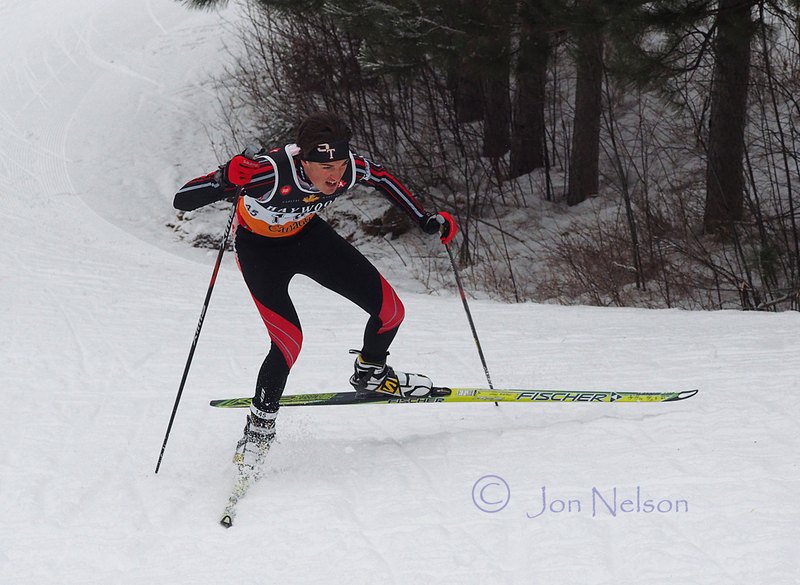 Scott Fraser from Black Jack Nordic reaches the top of the final hill before the finish. 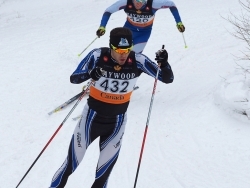 Colin Abbott Whitehorse teamed with Knute Johnsgaard to win Open Men's Bronze Medal. 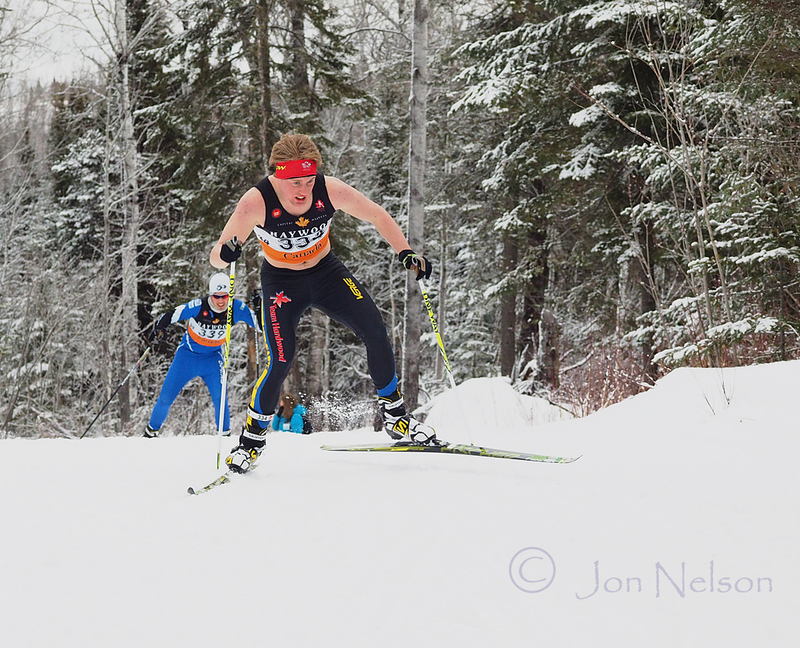 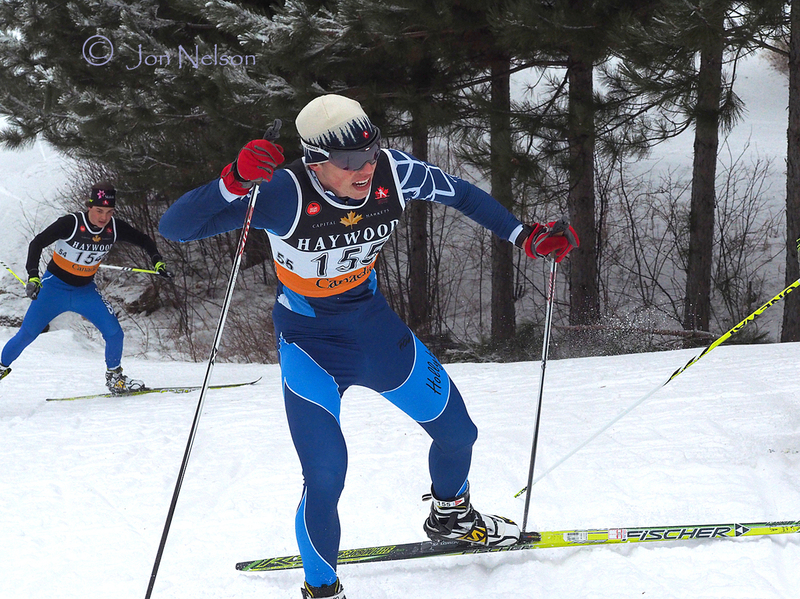 Michael Somppi, Lappe Nordic, won Gold wit Andy Shields in the Open Men Team Sprint at the 2015 Ski Nationals. 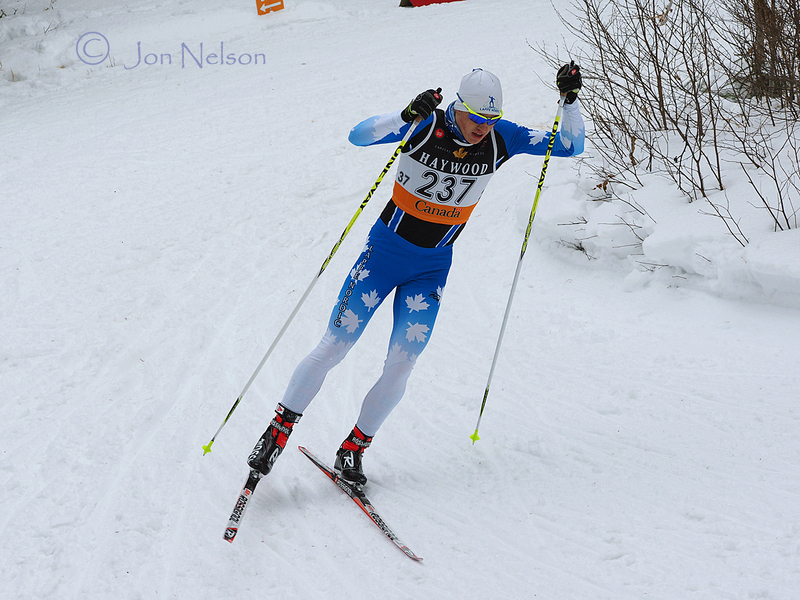 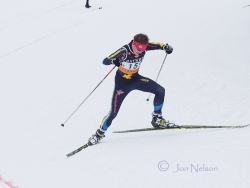 Angus Foster sweeps around a sharp corner while racing Lakehead University o a Silver Medal in the Team Sprint at the 2015 Ski Nationals. Frederic Touchette leads skiers around a corner while anchoring of the University of Laval to a Bronze Medal in the Team Sprint. 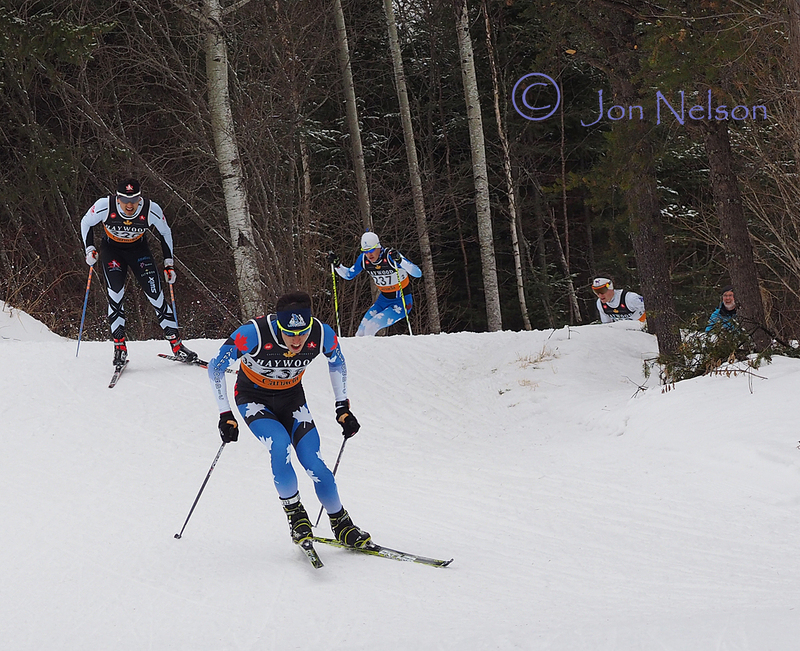 Alec Maclean from Team Hardwood works his way up the steepest incline in the Team Sprint race. 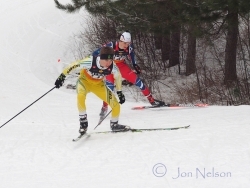 Antoine Laforte goes over the crest of a hill skiing for Skibec in the Challenge Boys Team Sprint race. 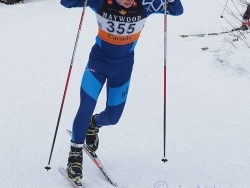 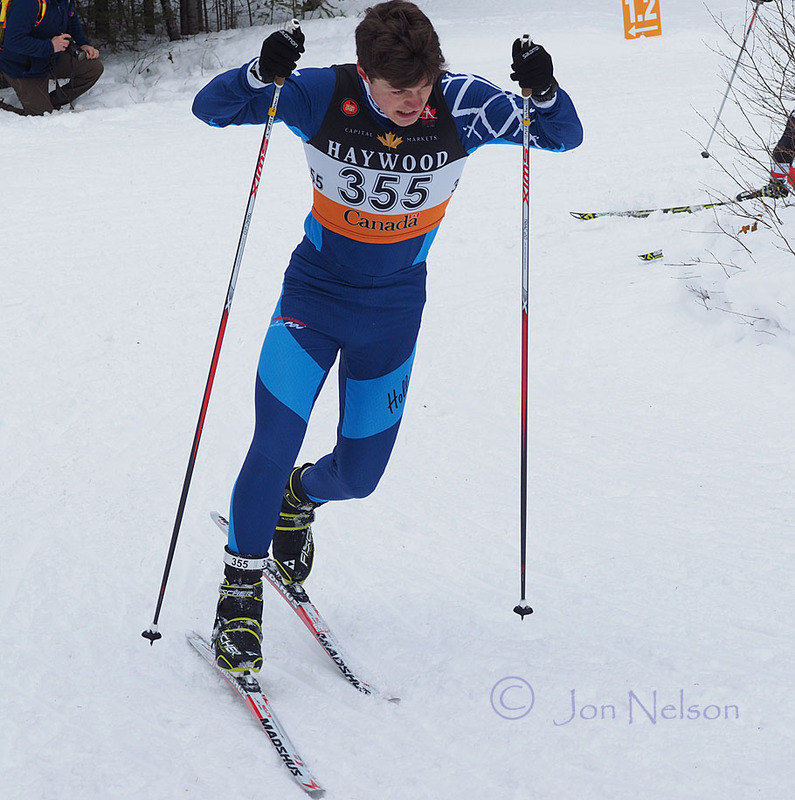 Team Hardwood's Kyle Reinhardt doesn't find it cold skiing at the 2015 Ski Nationals in Thunder Bay. 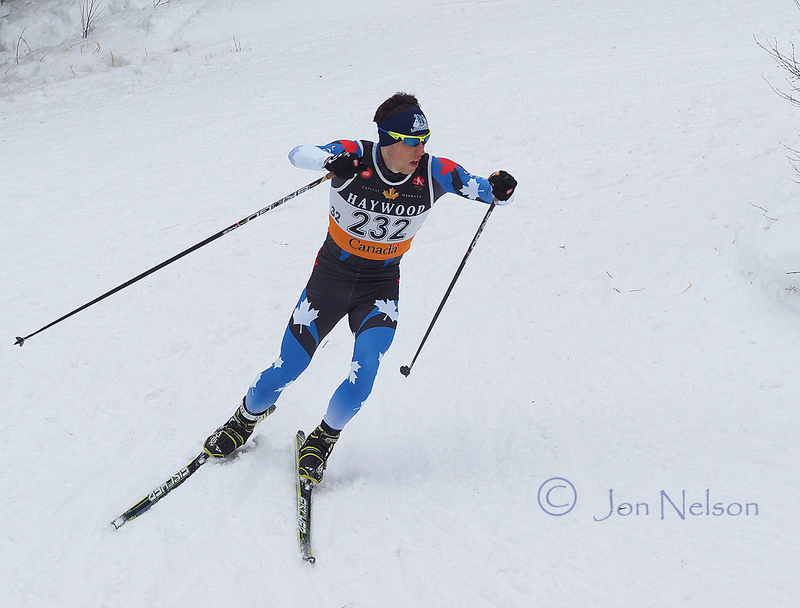 Cam Fitzmaurice uses his poles to reach the crest of hill skiing for Hollyburn in the Team Sprint. 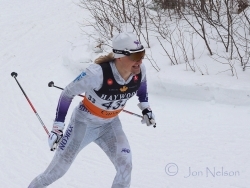 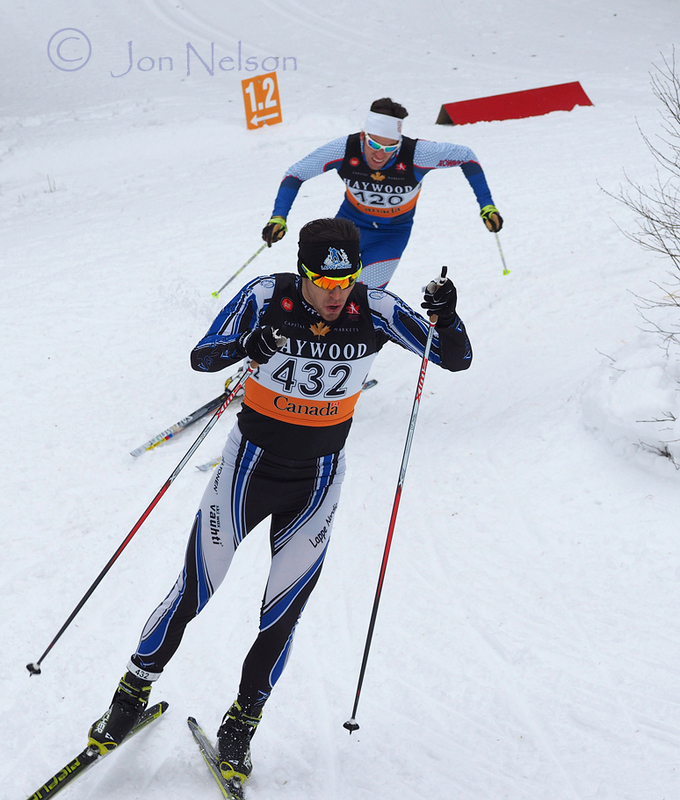 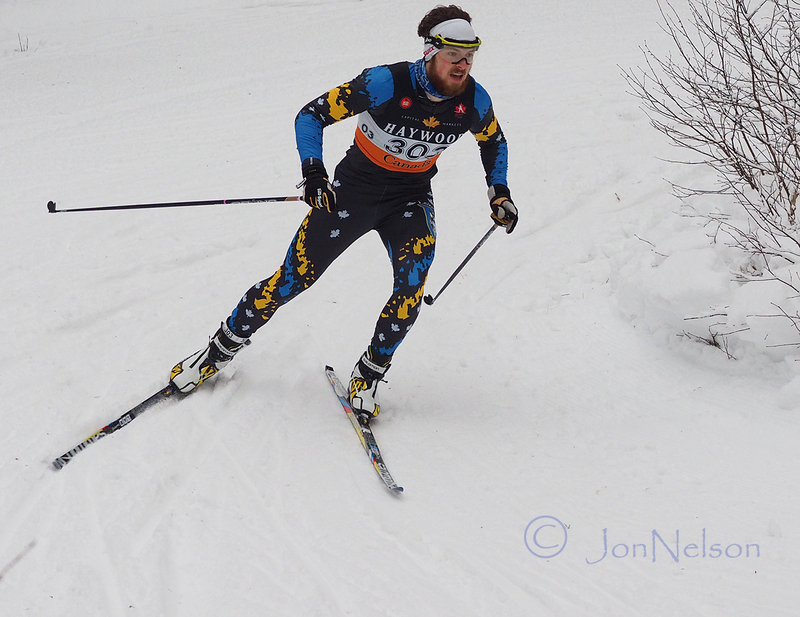 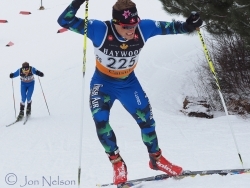 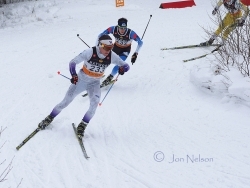 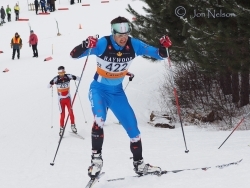 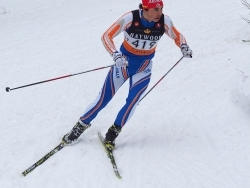 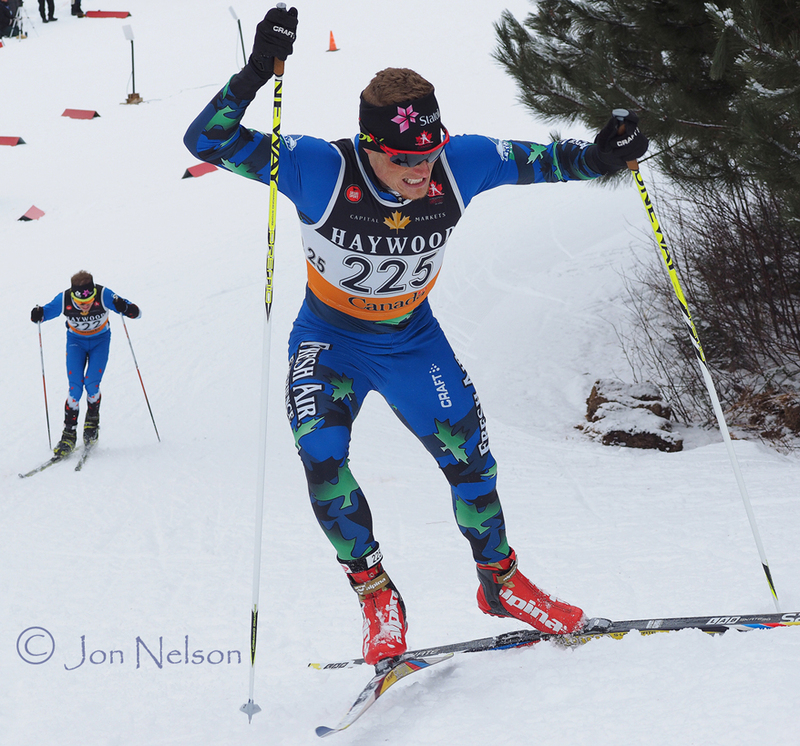 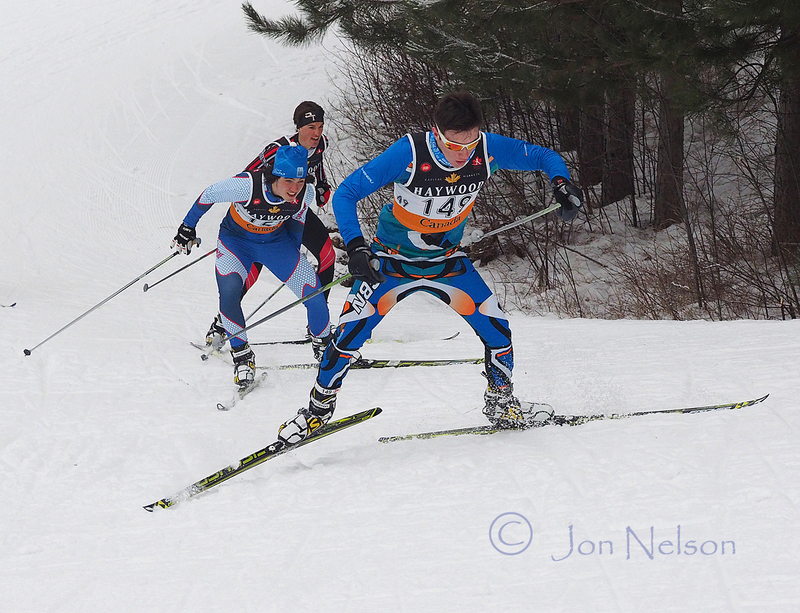 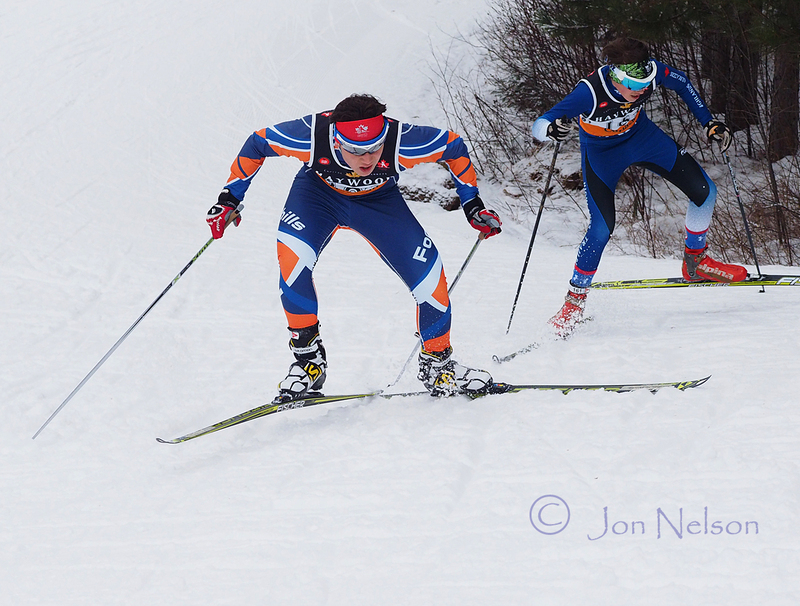 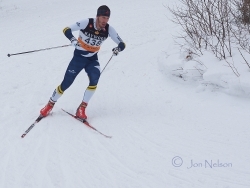 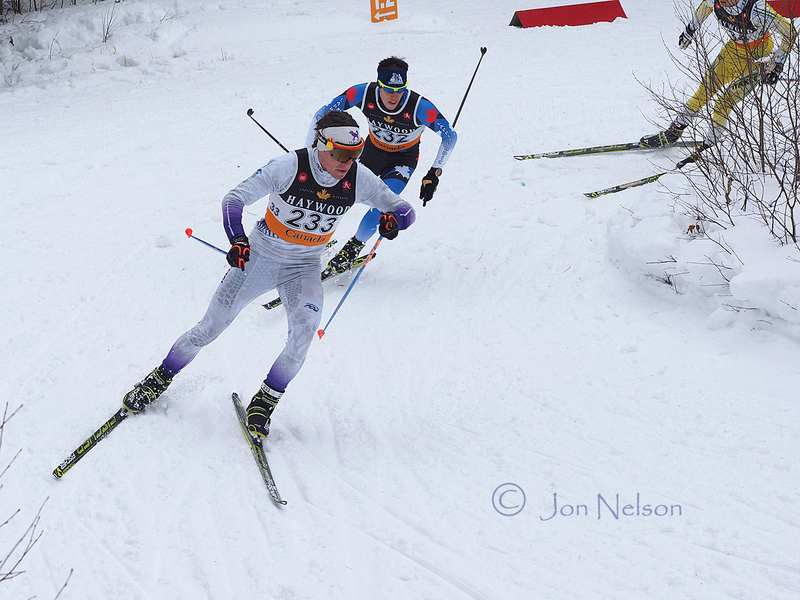 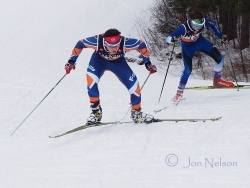 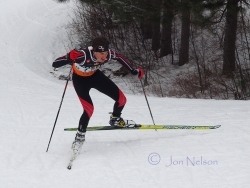 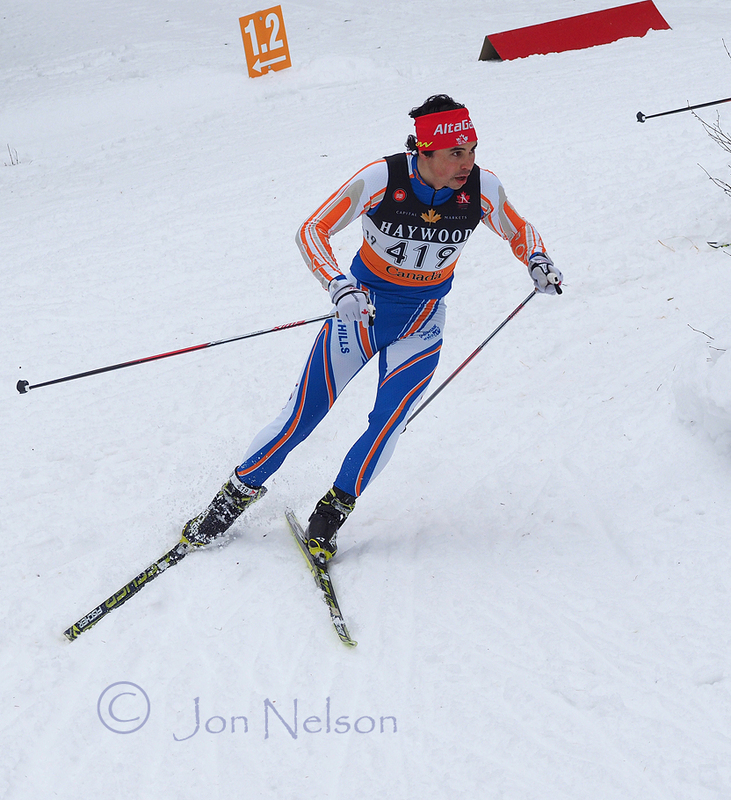 Jonah Steinberg fights his way uphill for Foothills Nordic at the 2015 Ski Nationals. 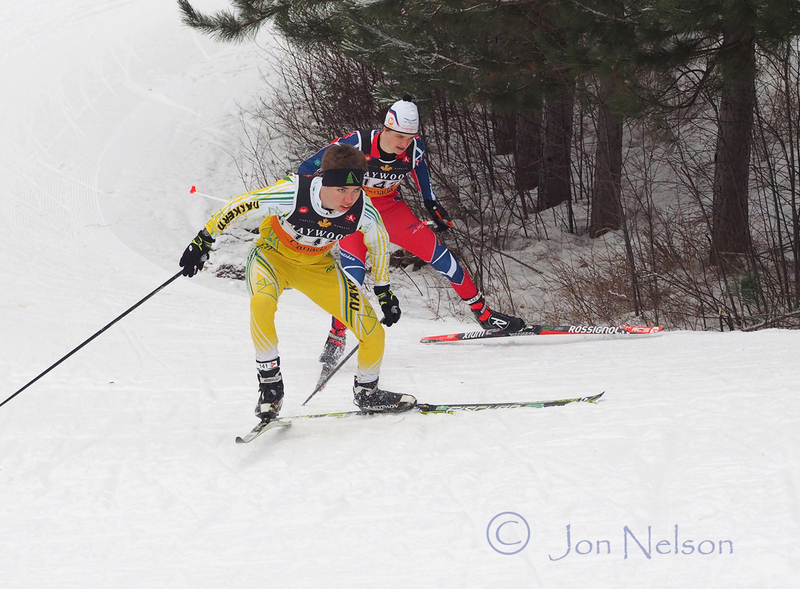 Mikell Blain-Rogers from North Bay Nordic works his way up the hill near the finish of the Challenge Boys Team Sprint. 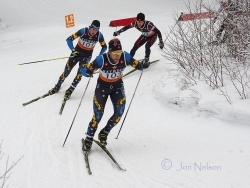 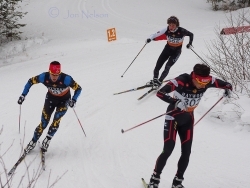 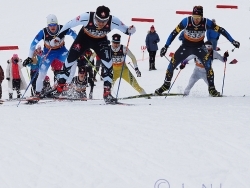 Sebastien Boehmler-Dandurand leads skiers in a semifinal Team Sprint race at Ski Nationals 2015. Amund Wirstad comes out of a turn during a Challenge Boys Team Sprint race at Ski Nationals 2015. 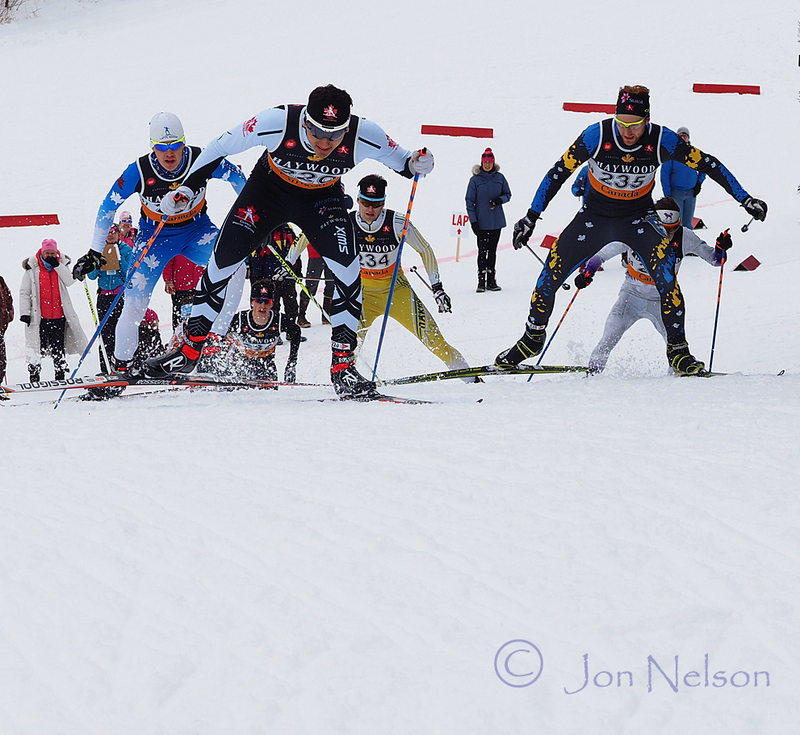 Andy Shields leads a line of skiers during a Team Sprint race at the Ski Nationals 2015.